In the luminous common areas of the Carlos Rosario International PCS cooking school visually interact with the exterior. Here Lea Ceramiche‘s ultra-thin slabs of laminated porcelain clad the entire surface area. The effect is echoing the exterior cladding which also made use of large slabs applied on a thermal insulation system. The building was inaugurated in November 2013 in Washington DC. 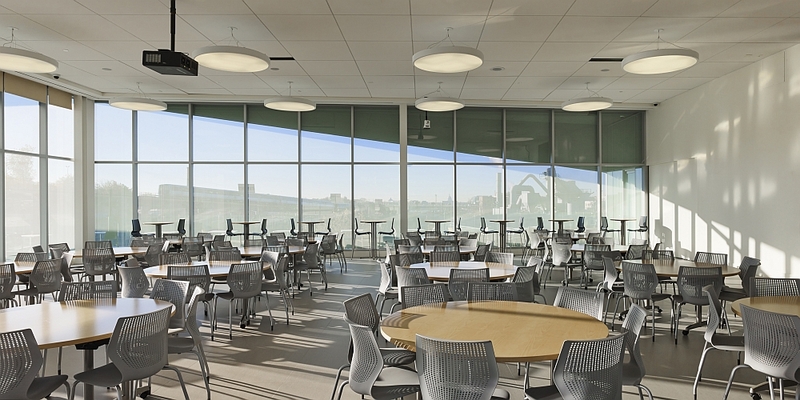 It contains a resource centre, offices, English and computer science classrooms, four culinary laboratories with kitchens, and a large caffetteria.